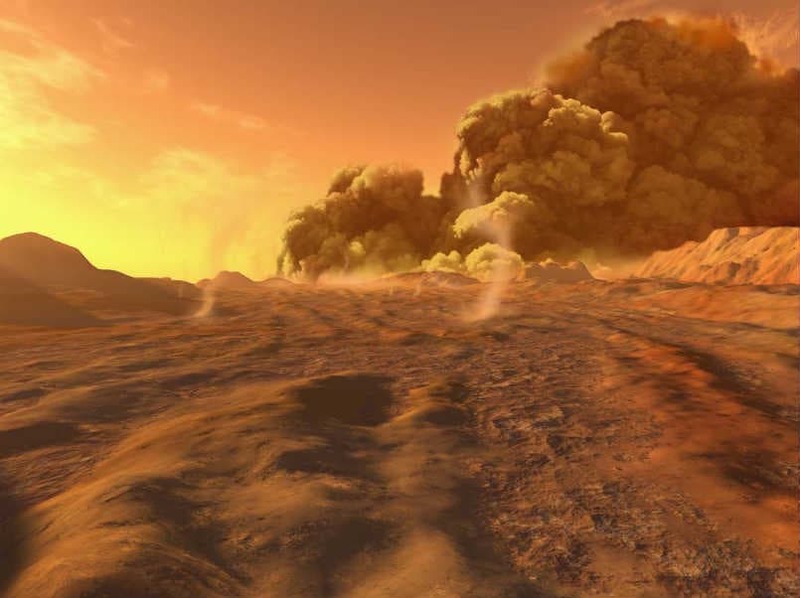 Ridley Scott returns to form with this heart-pounding thrill-ride on Mars. Matt Damon stars as a stranded astronaut far from home. His crew thinks him dead from a massive storm and is forced to leave him behind. Somehow, someway, Mark Watney will survive. By now the hype has died down a bit, but most of us remember our experience with THE MARTIAN fondly. There was so much incredible excitement alongside some unexpected laughter. Scott created another cinematic spectacle that felt more like an experience than a feature film. Those that didn’t read the book had no idea the amount of humour in store for them. With such dire circumstances, the comedy really helps ease the tension, giving us the occasional breather. Damon is incredibly strong as our survivor. He MacGuyver’s his way out of several impossible situations, never losing his spirit. This botanist refuses to quit. Who thought one of our favourite screen heroes of 2015 would be a gardener? Thanks to the video diary sequences we get an inside glimpse into Watney’s mind. Instead of watching Damon talk to a camera the whole time, Scott mixes it up with several narration driven montages. While book fans may miss some of their favourite jokes or one brilliant action set-piece, the amount of stuff they got on screen is amazing. The novel was a blazing page-turner, and the 2.5 hour movie feels the same way. Scott rarely slows down the pace, even when juggling several storylines across 2 planets and 1 spaceship. Jeff Daniels may be the most impressive co-star, as the NASA chief. Some critics even suggest Oscar nomination(?!). However, many of the big names making up the ensemble are wasted and almost serve as distractions. That said, someone like Jessica Chastain and Chiwetel Ejiofor automatically bring an immeasurable sense of presence and are ultimately captivating with little screen-time. Unfortunately, some other cast members don’t bring that same gravity, which may pull some of the audience out of the illusion. Kristen Wiig has proven she can do drama as well as comedy, but certainly some audience members expected more out of her character once she appeared on screen. 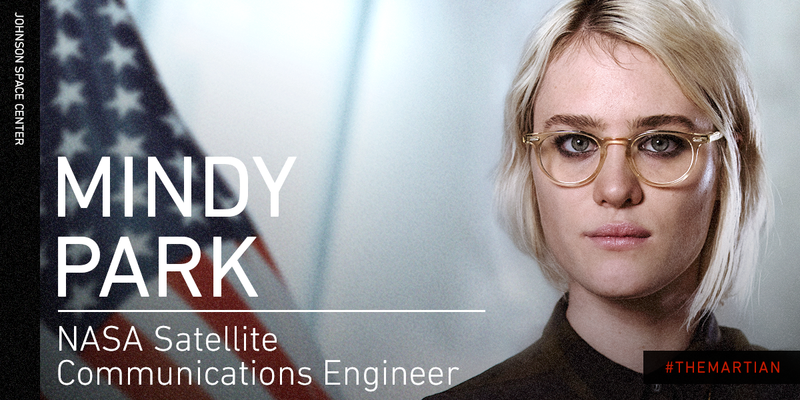 Fortunately, some other cast members shine bright in their smaller roles, like young rising star Mackenzie Davis. The story does something special when China hears about the problem. 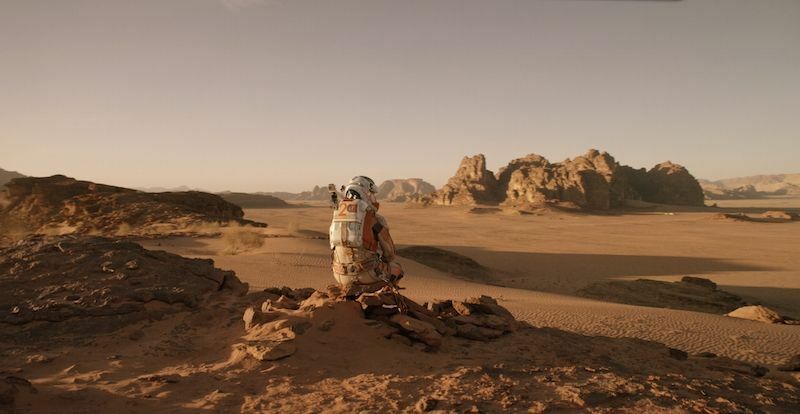 Unlike a lot of Hollywood save the world movies, THE MARTIAN includes the rest of the world. The Americans aren’t the only heroes in this adventure. It’s refreshing to see nations come together for the greater good. Watney’s survival will be inspirational for the (global) generations that will travel the stars. The story also shows us that the hero doesn’t always need a gun to save the day. Watney’s tale of survival reminds us that our minds are more powerful than any weapon… or any disaster. As a whole, THE MARTIAN is exciting because of our own participation. We wonder what we would do in Watney’s shoes. Each step of the way, we are wondering what he’s up to and if he’ll succeed. Since it’s a movie we expect the outcome, but still enjoy the ride… most of it spent on the edge of our seats. 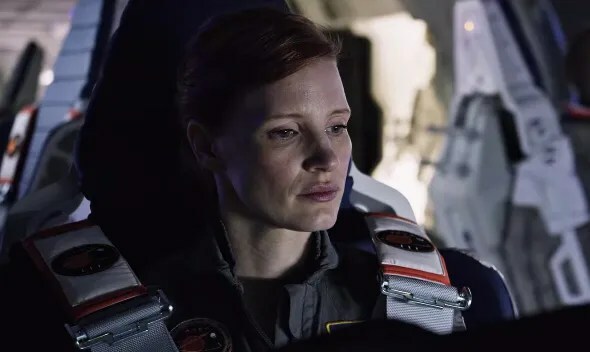 Posted in movie review, moviesTagged andy weir, best of, blockbuster, book to movie, disaster, jessica chastain, Mars, matt damon, movie, movie review, NASA, novel, review, ridley scott, sci-fi, science fiction, space, survival, the martianBookmark the permalink.